ISLAMABAD: Prime Minister Imran Khan will pay an official visit to Malaysia on November 20-21, confirmed a press release issued by the Foreign Office on Thursday. The statement said that a high-level delegation would accompany the Prime Minister on the occasion. This would be the first state visit by any foreign leader since Dr Mahathir Mohamad assumed office as the prime minister of Malaysia in May 2018. It would also be Prime Minister Imran Khan’s first bilateral visit to Malaysia. The two prime ministers will have a tête-à-tête, followed by delegation-level talks, said the press release. The statement said Pakistan and Malaysia enjoy warm brotherly relations, mutual respect, friendship and understanding reinforced by strong cultural and religious affinities. The prime minister’s visit will provide an opportunity to further cement the existing friendly and cordial bilateral relations between the two countries, by enhancing economic, trade and commercial ties, for our mutual benefit. Meanwhile, on Thursday, the Malaysian High Commissioner to Pakistan called on Foreign Minister Shah Mehmood Qureshi at the Ministry of Foreign Affairs. During the meeting, FM Qureshi expressed the desire to further strengthen bilateral relations between both countries in economic and political spheres. 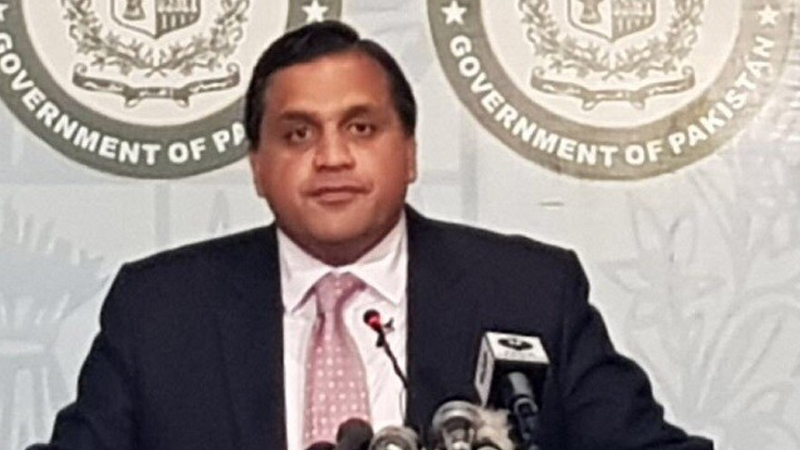 Separately, at a weekly news briefing, FO spokesman Dr Muhammad Faisal said Pakistan was in contact with the US government over the issue of Dr Aafia Siddiqui. He said officials from Pakistan’s Consulate in Houston had met Dr Aafia 12 time during the last three years. The spokesman also informed reporters about Foreign Minister Shah Mehmood Qureshi’s meeting with Dr Fouzia the sister of Dr Aafia.